Philip H. Franklin has more than 20 years of experience in the residential mortgage lending and servicing industry. For more than 15 years, Phil represented various consumer lending institutions as in-house counsel, including one of the largest non-depository mortgage lender-servicers and one of the largest former non-prime mortgage lender-servicers in the country. Phil has also been an active participant in state and federal legislative affairs for and on behalf of the residential mortgage lending industry. Phil is licensed to practice law in California and Maryland, and is admitted to the federal courts in California. He received an undergraduate degree from the University of California, Los Angeles (UCLA), a law degree from Southwestern University School of Law, and a Certificate of Dispute Resolution from the Straus Institute, Pepperdine University School of Law. He is an active member of the Mortgage Bankers Association of America, the American Bankers Association, the California Mortgage Bankers Association, and the Orange County Bar Association. 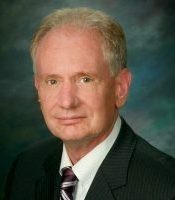 He also served as the past chairman of the Financial Practices Section of the Orange County Bar Association.